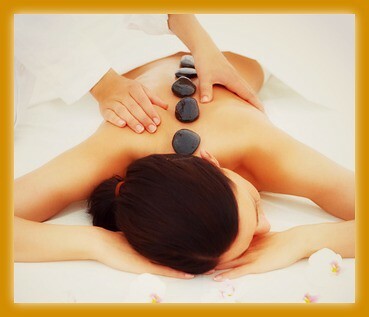 Add an additional $ 5.00 to each massage therapy session. Taping only (15 mins) - $ 25.00 * please note this can only be completed if previous assessment has taken place. A receipt will be given upon payment. We require 24 hours notice of any cancellations, otherwise a full treatment fee will be charged. Meredith is a 2008 massage therapy graduate of Canadian Therapeutic College in Burlington, ON. Meredith opened her own clinic in 2012 and since then you have expanded her team and services offered. Her modalities include TMJ (temporomandibular joint dysfunction), hot stone massage therapy, deep tissue massage therapy, prenatal / infant massage, advanced kinesiology taping, cupping massage therapy and treating clients with late effects of cancer and prenatal massage. In June 2013, Meredith became an instructor at the Oxford College in Burlington, ON., educating future massage therapists in techniques, anatomy, physiology, and pathophysiology. Megan graduated from Trillium College in 2014 in Burlington, ON. Megan is a deeper therapist, but works within the client's pain tolerance. She offers couples massage, prenatal, cupping massage therapy and therapeutic treatments. Megan recently completed her advanced kinesiology taping course in Burlington, ON. Lindsay Wagner has been registered with the College of Massage Therapists of Ontario (CMTO) since 2007 after graduation from the Canadian Therapeutic College in 2006. Lindsay loves to share her knowledge of the human body and the application of massage therapy. She practiced as Massage Therapy Program Instructor at two Ontario colleges from 2011 to 2015, enjoying the challenges and fulfillment that teaching provides. Jennifer graduated from Brock University with a degree in Kinesiology in 2008, and completed an advanced standing massage therapy diploma in 2009 from Canadian Therapeutic College. She works with a variety of conditions, including sports injuries, chronic pain, headaches, postural dysfunction as well as prenatal massage. She has certifications in muscle release techniques, cupping massage therapy and therapeutic taping. Aleksandra is a graduate of Oxford College with honors and joined For Your Health Massage Therapy in 2016. Her goal is to assist clients in maintaining a pain free lifestyle. Aleksandra is passionate about the education of the human body as well as sports therapy and exercise. Aleksandra's modalities include cupping massage therapy, and recently you have added Acupuncture to her practice. Stephanie is a Massage Therapy graduate from Sutherland Chan in 2015, and has since been practicing in clinical settings. She has joined For Your Health Massage Therapy in January 2018. Her modalities include Cupping Massage Therapy, Advanced Kinesiology Taping, and deep tissue massage. Stephanie enjoys treating the low back, athletic injuries, and clients pre / post surgeries. In her spare time, she enjoys playing all sports, mostly softball and soccer. Crystal is a Massage Therapy graduate from Canadian College of Massage and Hydrotherapy in 2014. Crystal has taken over 80 hours of courses in prenatal and labour support, as well as additional courses in Hot Stone Massage Therapy. Crystal has recently branched out as a Massage Therapy instructor at Oxford College in Burlington, covering a wide variety of classes including Anatomy & Physiology, Treatments and Techniques. We are thrilled to have Crystal join our team as of December 2018, as her passion for the profession is quite evident in her treatments. Barbara Lukac is a graduate of the Canadian Academy of Osteopathy in 2016. Her practice is based on treating the body as a unit, finding the root cause of a problem by assessing through touch and patient movement. Then by manually adjusting the body so it can self heal and self regulate.